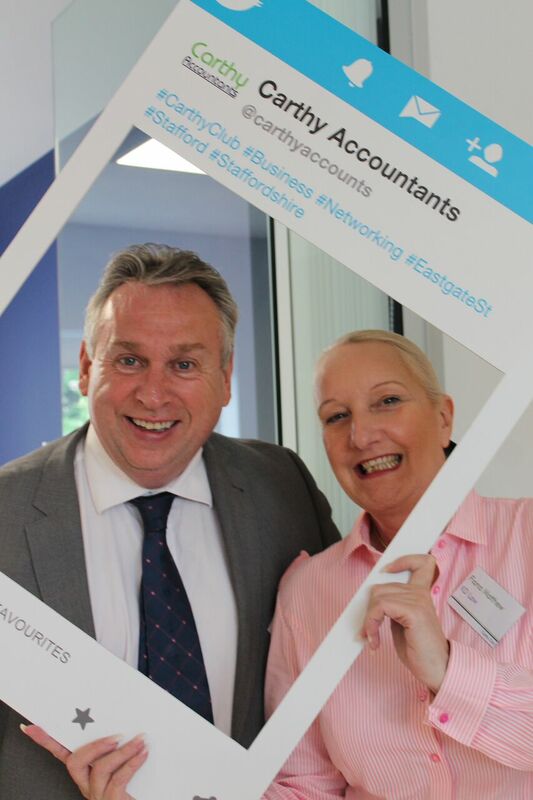 A regular informal business networking meeting at Carthy Accountants, Stafford, has proved a recipe for success with over 70 attendees at the July meeting. Carthy Club provides a monthly chance for businesses to meet and form new relationships and has sparked business success, including at least one £40,000 deal. Fourteen businesses attended the first gathering at the Eastgate Street offices of Carthy Accountants in February, 2015, and it has grown to become a major success story with attendance averaging over 50 on the final Wednesday of each month. “We open the doors at 4pm and people come and mingle,” said Michael Carthy “We get regulars from as far apart as Nantwich and Telford and we have been able to introduce several businesses to each other. “It is very informal, we provide drinks and finger food and let people mingle. There’s been great feedback and we know of many businesses who have met at Carthy Club and have gone on to work together or pass on business referrals. I know that one conversation at Carthy Club resulted in a £40,000 deal and there have been others, each amounting to several thousand pounds. Laurence Tunnicliffe, of Stone-based Panda Press was among those at the original meeting and has attended regularly. He said: “Carthy Club provides a relaxed environment where professionals can listen and learn about other businesses in an informal manner. The twelve-strong team provide a full accountancy service to businesses across Staffordshire and beyond. To find out more about Carthy Accountants please go online to http://www.carthyaccountants.co.uk/index.html.